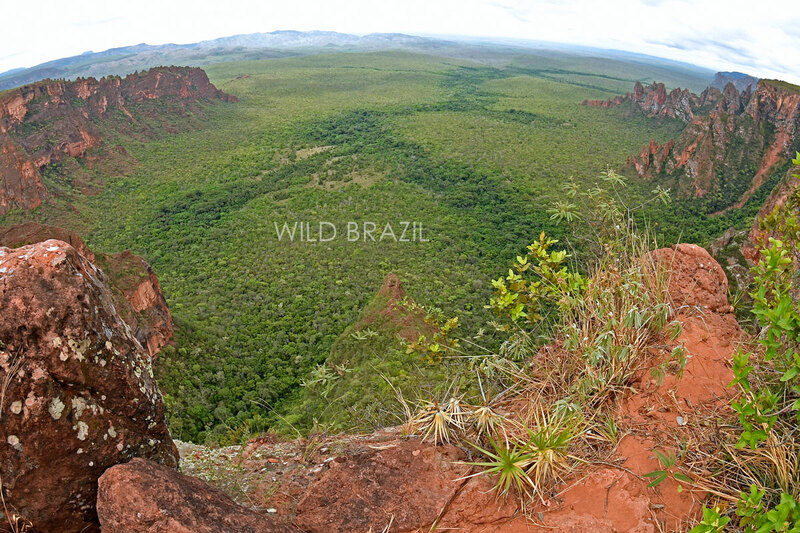 The Chapada dos Guimarães National Park is a real attraction for who loves nature, hiking, birding and photography. 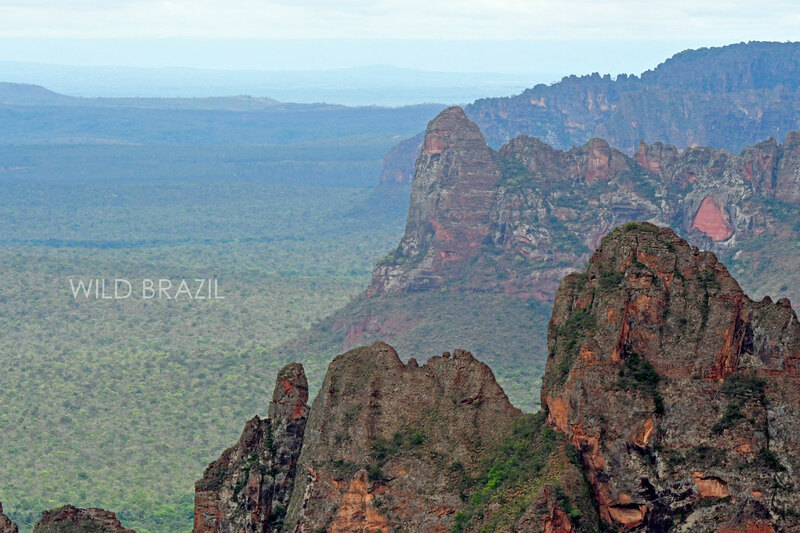 Located in the Brazilian Savanna (Cerrado) at 60 km from Cuiabá, Chapada is a great naturalistic destination, in facts the province boasts 487 waterfalls, 59 water sources, a 3300 square kilometers national park, natural protection areas, archaeological interest places, endemic birds and plants. The typical landscape is characterized by canyons and red rock formations, that remember the southwestern United States. A lush savanna home of a great assortment of birds such as Red-and-Green Macaw (Ara chloroptera), Swallow-Tailed Kite, Ornate Hawk-Eagle, Fiery-Capped Manakin, Collared Crescentchest, Frilled Coquette, Channel-Billed Toucan and Lettered Aracari, King Vulture and many more, among the mammals: Maned Wolf, Tyra, Armadillos, Giant Anteater, Ocelot, Tapir and more. Departure from Cuiabà airport / hotel, arrival at Chapada dos Guimarães (1 hour), visit at the Véu de Noiva Waterfall, the highest fall of the Park (89m height), here you will appreciate a beautiful landscaped and observe some bird species. Accommodation at the lodge. 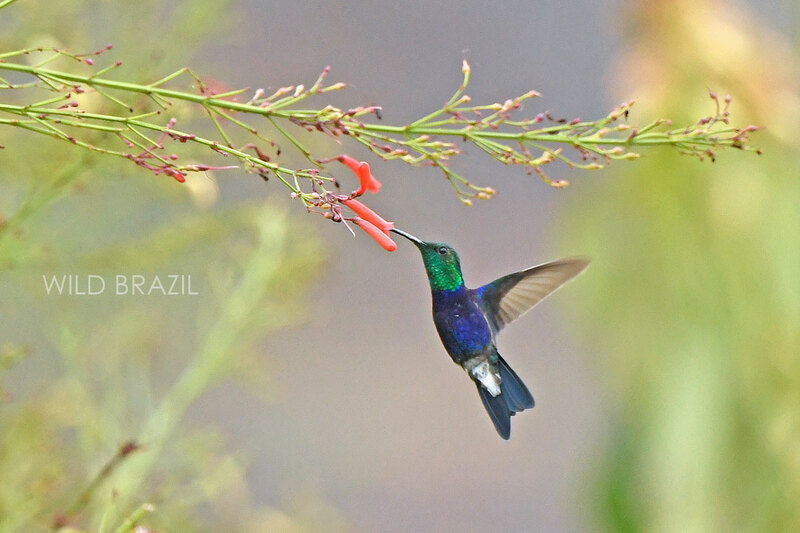 In the afternoon we'll visit a panoramic natural balcony overlooking the plain of Cuiabá from which you can appreciate a breathtaking landscape and also observe some bird species such as songbirds and parrots. Return to the lodge, dinner and overnight. 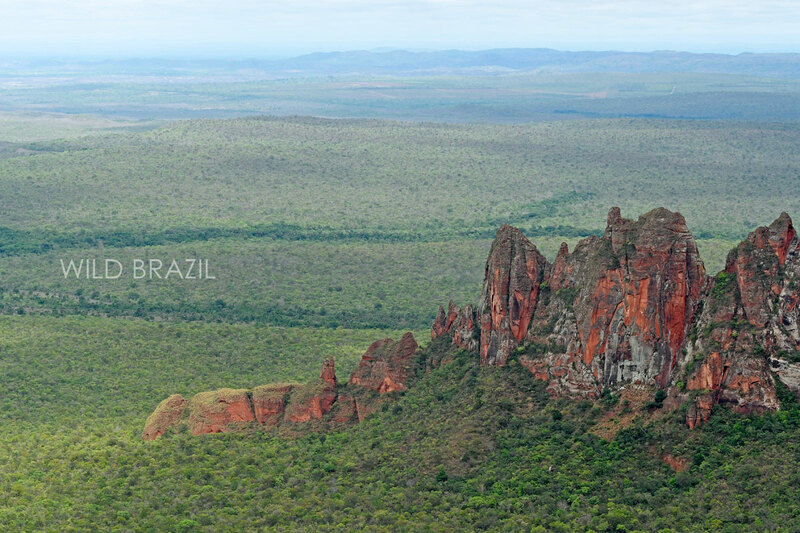 After breakfast visit to the wonderful Cidade de Pedras (Stone Town), that is one of the points that best characterizes Chapada dos Guimarães. 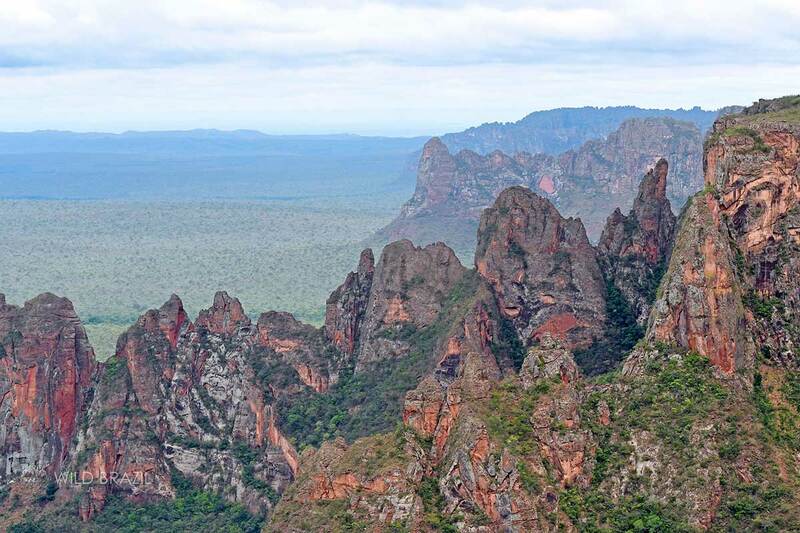 Located within the National Park at the top the region of Vale do Rio Claro, is the best place to observe the great sandstone cliffs and the gigantic hills. From there one can see an incredible landscape, where rock formations are continuously carved and transformed! 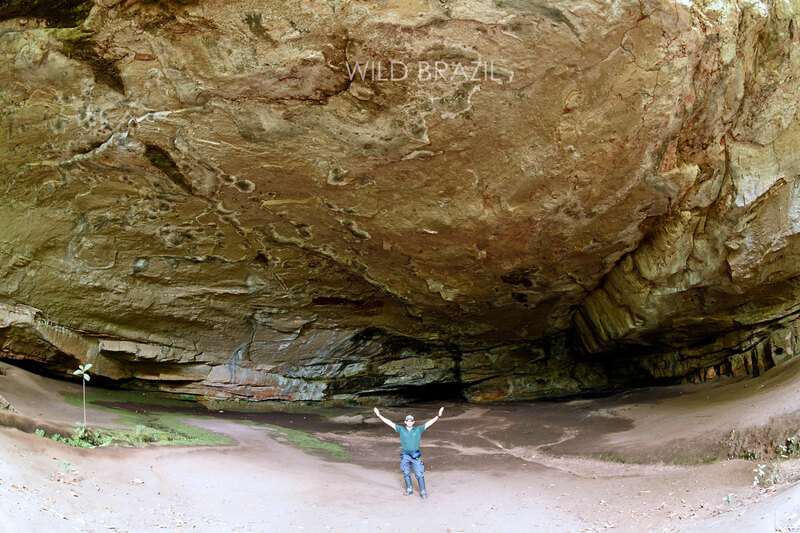 Vale do Rio Claro: the afternoon excursion begins inside the National Park driving between cliffs, streams and trails, then continuing walking up to the Crista do Galo, a rock formation located in the center of the valley, which allows a panoramic view of the region. From here you can see the Rio Claro and the Invernada rivers, and the huge sandstone walls that characterize the Chapada dos Guimarães. We continue walking up to Poço da Anta, a great well of crystal clear water near the source, a true natural aquarium where you can swim. Back to the lodge and overnight. 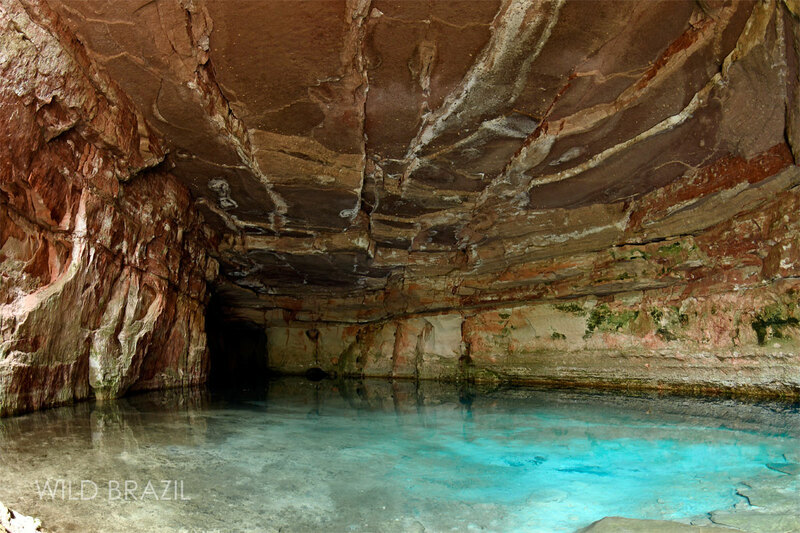 Today we will visit the Aroe Jari cave, that is the biggest sandstone cave in Brazil, with about 1550 meters long and is located 46 km from Chapada dos Guimarães, at Fazenda Agua Fria. Before start the excursion we will put the safety equipment. We follow a trail in the cerrado up to the Ponte de Pedra (Stone Bridge), from where you can appreciate a wonderful landscape. Then we continued walking and enter through a gallery forest, until we reach the first room of the cave. Here we will find a small waterfall on the cave ceiling. Gradually the eyes become accustomed to the darkness and we can further explore the details of the formation of the cave, helped by flashlights. We will arrive at Pedra das Três Pontas (Three Points Stone), and then at the Blue Lagoon, the Kyogo Brado that's approximately 20 meters high and 500 meters long, with beautiful rock formations. After lunch we will move by car up Cachoeira do Relógio Waterfall for a refreshing bath. 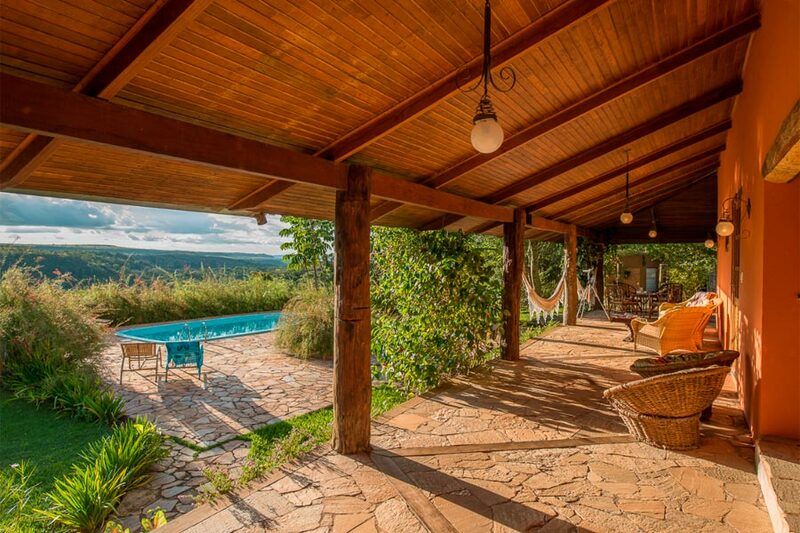 The lodge hosts 8 rustic apartments, with en suite bathrooms and air-conditioning. With a leisure area featuring a veranda with hammocks, swimming pool, mini-gym, seated garden area, sauna, and a lounge with a fireplace, and at the Restaurant & Bar it is served delicious and varied local menu. 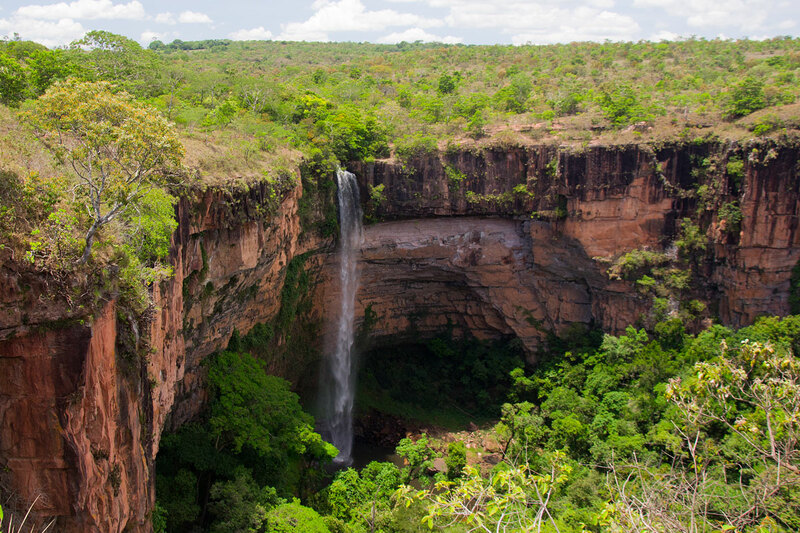 Strategically located on the border of Chapada dos Guimarães National Park at an altitude of 750m, shelters in its 500 hectares of private land two seasonal waterfalls (from Dec to Jul), amazing outlook over the entire Park, and several trails for the enjoyment of nature lovers. It was constructed observing the most advanced environmental criteria. The wood used in its construction are salvaged, its roofs are made from recycled milk boxes and its water is heated by solar panels. It has further more, a modern and efficient effluent-treatment plant, selective disposal and recycling of garbage, and a pioneer solar coling project.